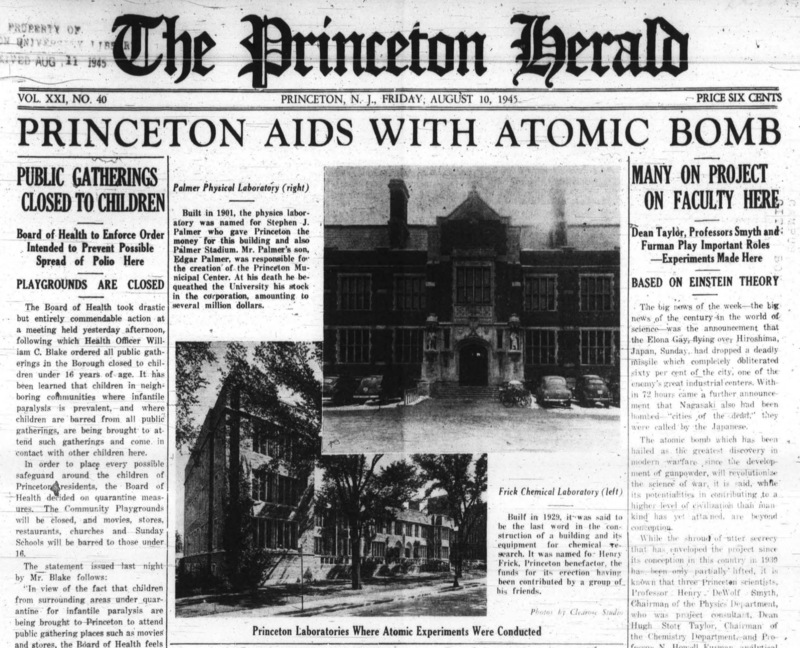 An initiative undertaken jointly by the Historical Society of Princeton (HSP), the Princeton Public Library (PPL), and the Princeton University Library (PUL) has begun to unlock decades of the town and the university’s history by making the historical runs of two local publications full-text searchable and available online via a Princeton University Library website. The Princeton Recollector, a monthly local history newsletter published from 1975 to 1986 in association with the Historical Society of Princeton, documents Princeton’s past through oral histories, illustrations, and photographs gathered by the Princeton History Project. “The Princeton Herald and the Princeton Recollector both are invaluable resources for anyone conducting local history research. I’m thrilled that, with the help of the Princeton Public Library and the Princeton University Library, we can make them readily accessible through the University’s Papers of Princeton online platform,” said Stephanie Schwartz, HSP Curator of Collections and Research. The project began when the new leadership of the public library and the historical society met with the Princeton university archivist to discuss projects they could do together that they may not be able to accomplish individually. They agreed that digitizing local newspapers would benefit all three institutions, and reviewed their holdings for what publications could be added. “Having more local newspapers online will serve the audiences of all three institutions,” said Daniel J. Linke, University Archivist, Princeton University Library. “The Princeton and Slavery project made excellent use of historical newspapers and with the additions of these two publications, it opens up further avenues of inquiry for that, in addition to many other topics for Princeton students.” In addition, the Princeton newspaper collection is also being used by undergraduate computer science majors to analyze historical, linguistic, and cultural trends within the various publications. For more information about this collection, please contact Daniel Linke, University Archivist, Princeton University Library. 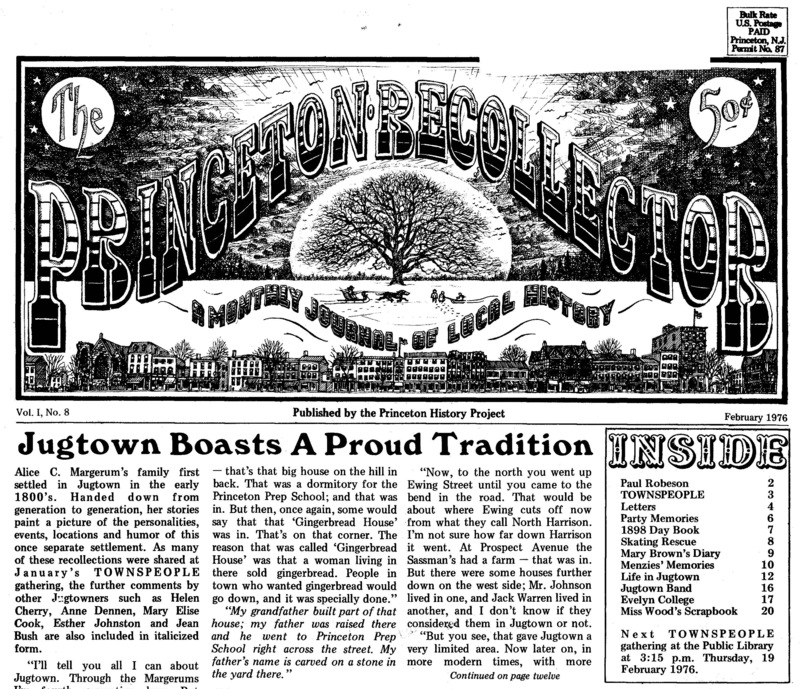 This entry was posted in Collections, Digital Collections, Library News and tagged digitization, newspapers, Princeton Herald, Princeton Recollector by April C. Armstrong. Bookmark the permalink.